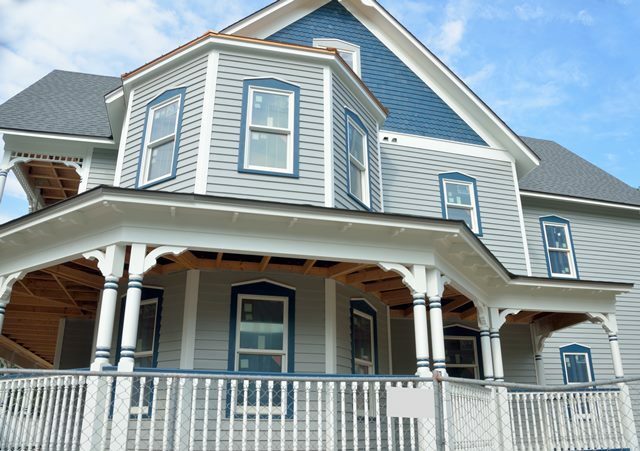 Finding the right paint for a Michigan home is difficult work. When most people think of “finding the right paint,” they’re mostly focused on color. They ask themselves: which shade will look best in the room, how will it fit in with the color scheme, what mood will it give off? And while color is a very important part of deciding which paint to get, there is something that many people overlook: paint brand. The truth is, not all brands of paint are created equal. Some are made for certain climates, others for different kinds of homes. And some paints simply don’t stand up to the test of time. For Michigan homes, finding the right paint brand is especially important. You don’t just need a paint that can stand up to cold, or hot, or rain or snow. You need a paint that can stand up to all of that—even when it happens in the span of a week! It’s no wonder that so many paints can’t stand up to Michigan’s rugged climate. Even paints that are made “for rough weather” typically only focus on one kind of weather. That is simply not what a Michigan home needs. That’s why we developed Motor City Paint. Motor City Paint is made by Michiganders, for Michiganders. And that means we test our paint like a Michigander would. We make sure that our paint won’t crack or peel during the freeze-thaw cycles in the winter. We make sure that it can power through the heat and humidity of the summer. No matter what Michigan’s climate throws at your home—rain, snow, sun or wind—Motor City Paint is rated #1 is washability and stain-blocking. But just because we pride ourselves on our durability doesn’t mean that we’ve forgotten about color. That’s why Motor City Paint has mixed over 7 million colors for our customers, one gallon at a time. In fact, we’re so dedicated to bringing Michigan residents the colors they love, we just released 25 new paint colors, inspired by the rich history of Detroit These colors were named by Michigan residents themselves and designed to celebrate Detroit and its innovative culture. At the end of the day, we love Michigan. And we want to make sure that Michigan homes stand up to the harsh climate while still celebrating the things that make this state amazing. If you want to learn more, come to one of Motor City Paint’s three Shelby Paints locations in Grosse Pointe, Shelby Township or Rochester Hills and speak to any of our design experts. Join our Color Club and take home a free pint-size sample of Motor City Paint for your next paint project.